Join the Thea Sisters on their latest adventure! Welcome to the world of the thea sisters! 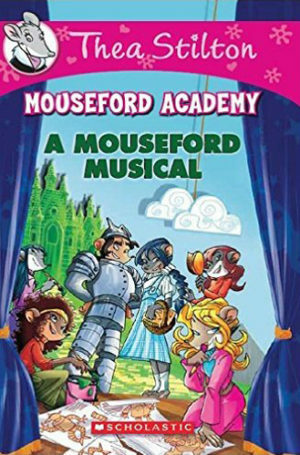 the amazing and exciting series - mouseford academy are back with new and exciting adventures. With easy to read text, high interest content, fast-paced plots and illustrations on every page will draw kids right into the funny land of mouseford. The most famouse band on Mouse Island, the Ratstreet Boys, is performing at Mouseford Academy! It's another dazzling adventure with teh Thea Sisters at the Mouseford Academy! Walk Majestically into the wind.